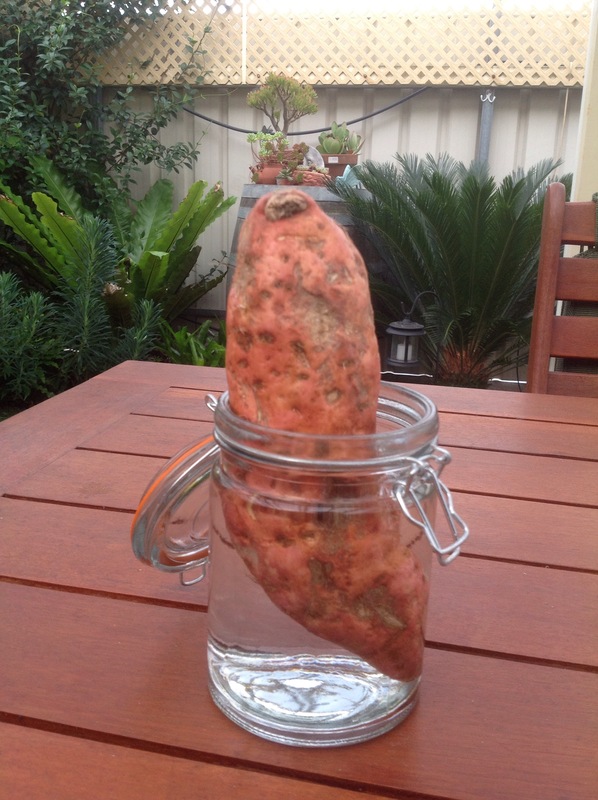 I’m sprouting a sweet potato with a view to growing them along the 9 metre by 1m area beneath our fruit and nut trees. I have been meaning to try this for a long time, but recently inspired by yet another invasion of grass beneath our fruit trees. Sweet potatoes are also delicious, very very good for you and should grow brilliantly in hot climates, and so I find myself putting a lot of excitement and hope into this. I think it is actually the wrong time of year as we are nearly at the end of summer, but I thought I would give it a go now as our winters are not that cold in Adelaide. I may be able to get them established now. It’s fun experimenting anyway.